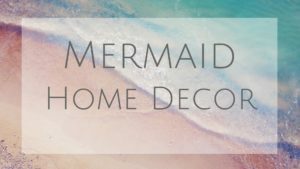 I’m on a mission to find Mermaid wallpaper for my bathroom. There is a website called Spoonflower that has some really cute mermaid wallpaper. You can even take that same design for Mermaid Fabric if you wanted! A wall full of adventure! You have whales, pirates, and ships along with your mermaid! A different looking illustration can be fun for kids on their wall. These look like mermaid dolls. This mermaid wallpaper pattern would be cute in a playroom or closet. Who comes up with this stuff? Seriously. How fun would this be as a kid? A great alternative to Mermaid coloring pages or books if your kids are into drawing! They can draw right on the wall and it will not bleed through. Fun! Your little mermaid could have a life size finned friend on the wall! Pretty fun! I think this is a scene from the “under the sea” song. 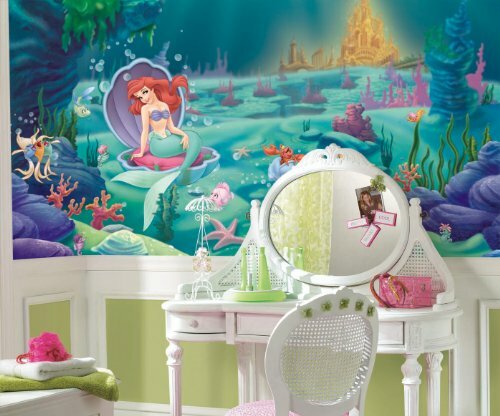 This wallpaper will transport your little mermaid to the ocean. With a full underwater and land scene. Get lost in the world of the little mermaid. Go with Ariel to discover hidden treasures from the world above! I personally love this look. It’s a subtle hint of mermaid scales on the wall. I LOVE this light simple pattern. With over 50 choices of colors you can match any room. This is the wallpaper and ended up choosing but in a teal color. This has a denser more detailed look to the scales but still fun if you like the look! A stencil is an alternative to wall paper. It’s essentially a big strip of plastic that you tape on the wall and paint over. This works for a whole wall, or if you want a few scales trickling the wall. 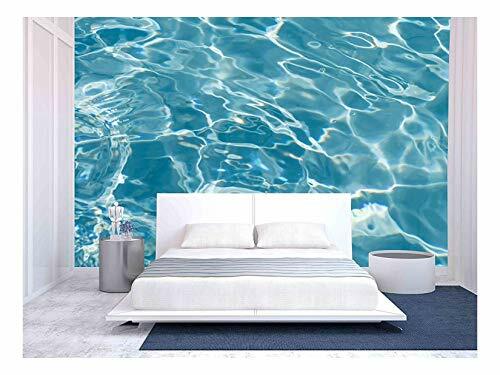 Taking this idea to mermaid scale wall decals. There are endless possibilities with these decals. They come in packs of 50 so you will have plenty to play with. 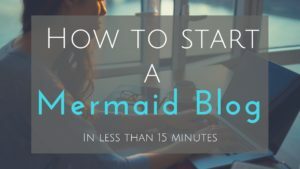 This next section has some really fun alternatives for mermaid lovers! Check out these ideas below on how to bring the ocean to you. Relax by the beach, in bed, all at the same time. Beaches are nice, but sunsets on the beach could be the best thing in the world. Let’s dive under the sea shall we? Mermaids know the peace they feel underwater. So nice to bring that feeling home with you. Waves are where mermaids come to see human ships approaching. This would be really fun for an accent wall. Another option I wanted to include was the Fish wallpaper. Fun sea creatures for a playroom or bathroom. 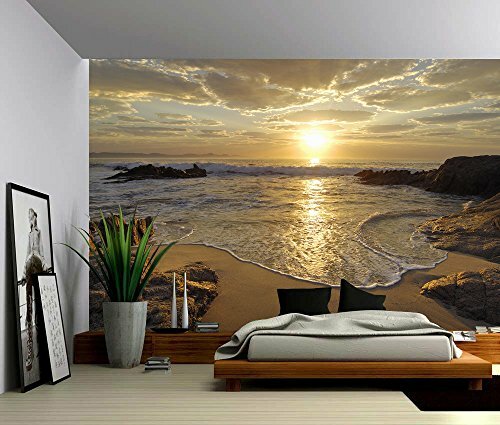 Wall decals are fun if you don’t want to commit to a full wall of wallpaper. These come in so many variations, and can even be customizable. These would make a really fun Mermaid gift for those who love the water. There are many fish decals to choose from, but these goldfish on a window stole my heart. Last but not least, bubble wall decals. How fun are these! Would look great in any bathroom. Comment below if I am missing anything! So many great ideas and I would hate to have missed any! Tell me more! What do you like about it?